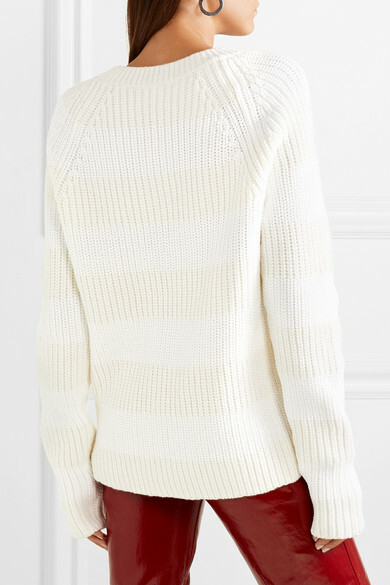 alexanderwang.t's sweater is knitted from a cozy wool-blend with optic white and soft cream rugby stripes. 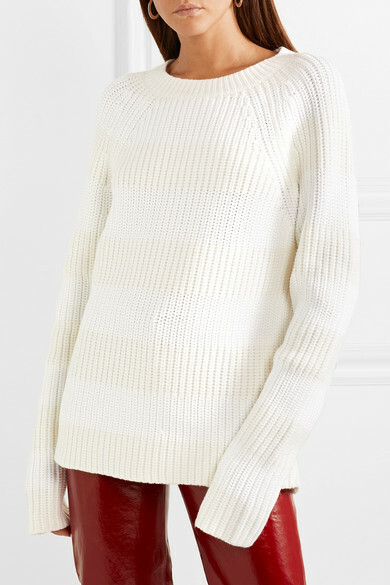 This piece is cut for a loose fit and has extra-long sleeves that you can scrunch up for a cool knuckle-grazing effect. Style it with leather pants and ankle boots. Shown here with: RtA Pants, Alexander Wang Shoulder bag, Maison Margiela Ankle boots, Jennifer Fisher Earrings.